Chose specific Heirloom tomatoes to make our "Heirloom Salsa". 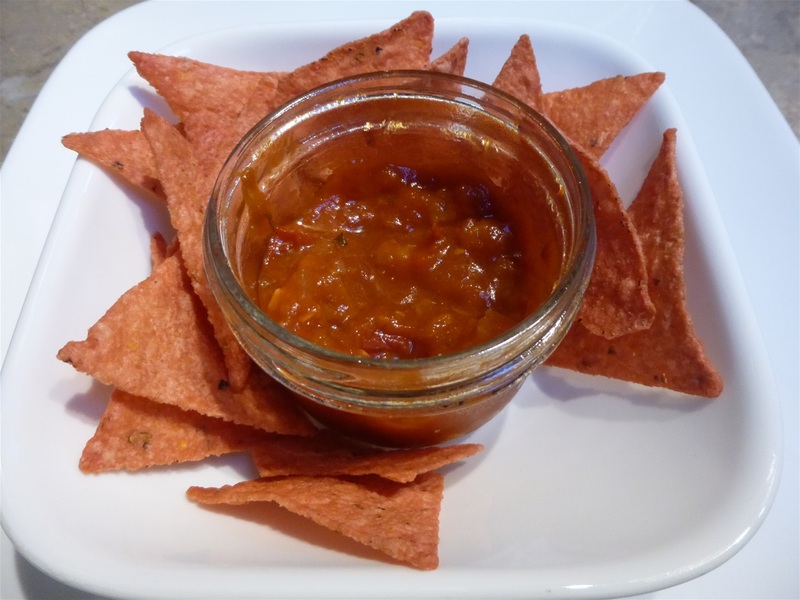 At another later "Tomato Tasters Event" (2018)... this batch was made mild for ones who can't have spicy salsa. This batch also did not have green peppers that make it more acidic... we used Orange and Red Peppers only. To spice it up you can add heat once it is opend and stirred in as an option as well. Another "Taste Tester's" event favorite.